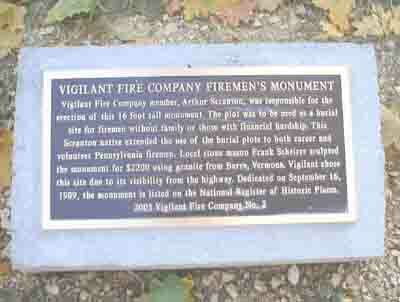 Vigilant Fire Company Firemen's Monument is a historic monument located at Washington Township, Lehigh County, Pennsylvania. It was erected in 1909, and is a 16 foot high granite monument on a concrete base. 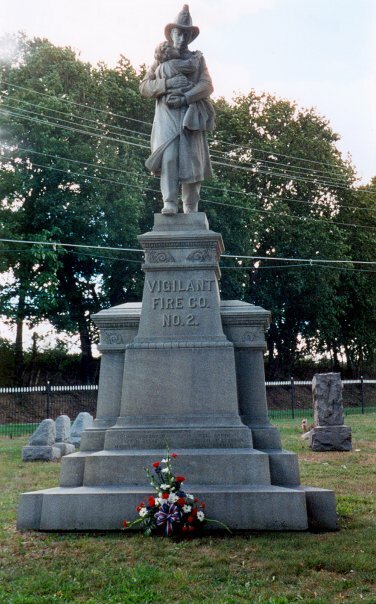 It incorporates a 7 foot tall statute of an early 20th-century fireman with a handlebar mustache, pointed fire hat, fire coat and boots, and holding a young girl in both arms. The plot includes three burials.